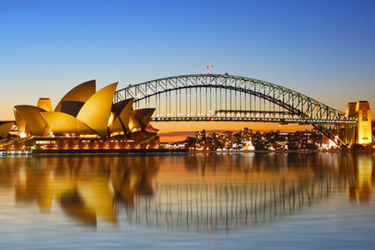 Become a Blackmores member and SAVE on your next holiday! Blackmores has partnered with Global Specialist Agency TLC Marketing to deliver their customer rewards campaign. 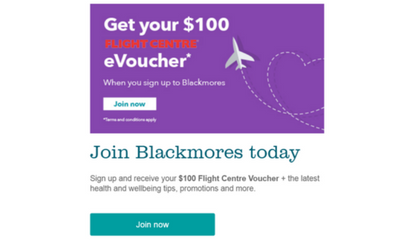 Blackmores approached TLC Marketing with the objective to encourage customers to become a Blackmores member by rewarding all new members with a $100 Flight Centre eVoucher. Print off the eVoucher and present it to any participating Flight Centre retail store within Australia to receive $100 off a holiday! Campaign period is May 25th – September 25th. To talk to TLC Marketing about your next campaign, email Nikki Saunders. Get in touch today to trial a reward for yourself!